Do things feel a bit out of line? Having the correct wheel alignment is important when it comes to the safety and the lifespan of your tyres; even your vehicle’s fuel efficiency. Wheel alignment can change by simply hitting a pothole, having faulty suspension or any number of other reasons. The wrong wheel alignment can result in irregular wear on your tyres, low fuel efficiency and extra strain on the driver. 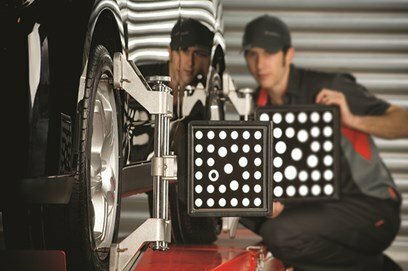 If you answer yes to any of the following questions you may need your wheels re-aligned. Is your car is resisting your steering? Do you feel like your vehicle is pulling to one side or the other? Have you recently had new tyres fitted? Have you had the components in your suspension replaced? Have you hit anything on the road such as a pothole? Has it been Six-months, or have you travelled more than 10,000 km since your wheels have been re-aligned? If you’re questioning your vehicle’s wheel alignment, bring it to Ferrymead Automotive for a check. Using the latest technology, our experienced technicians will check your wheel alignment, as well as the condition of your suspension components to make sure it’s all in order.